As soon as Cesar unwrapped the dashboard that had been sent to him from the UK, he inspected the dashboard. And having never seen an R33 GT-R dashboard before, he video taped his inspection so I could review it as well. Most obvious was the broken hinge for the glovebox door. We also noticed some screws and the corresponding screw guides missing. Cesar also claimed that he found a small imperfection on the central curved part of the dashboard, but reassured me he could easily fix this by leveling it out with some epoxy resin. He also noticed that one of the pins that guides the dashboard into the car body frame, was broken. And, he also spotted that the passenger airbag lid appeared to be off. So he went ahead and fixed these too. Finally, we noticed that there were still some dashboard pieces missing... this meant that I would have to send him some parts off my own car or find pieces from Yahoo Auction.... Cesar explained to me that, even if the piece was not to be covered in leather, it would still be necessary to have it, in order to make sure there would be enough clearance once the leather was added (e.g., he would sand down the layer onto which the leather was glued, by the same thickness as the leather - a few millimeters). 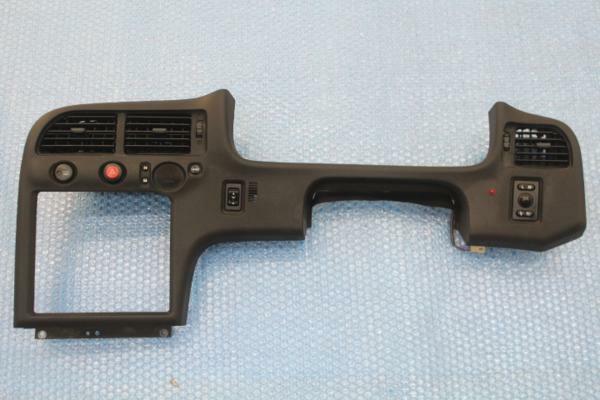 The biggest piece missing was the center cluster - you know that massive piece that incorporates the A/C vents, has a 3 DIN opening for the sub gauges, HVAC and stereo, and curves around to the driver door. 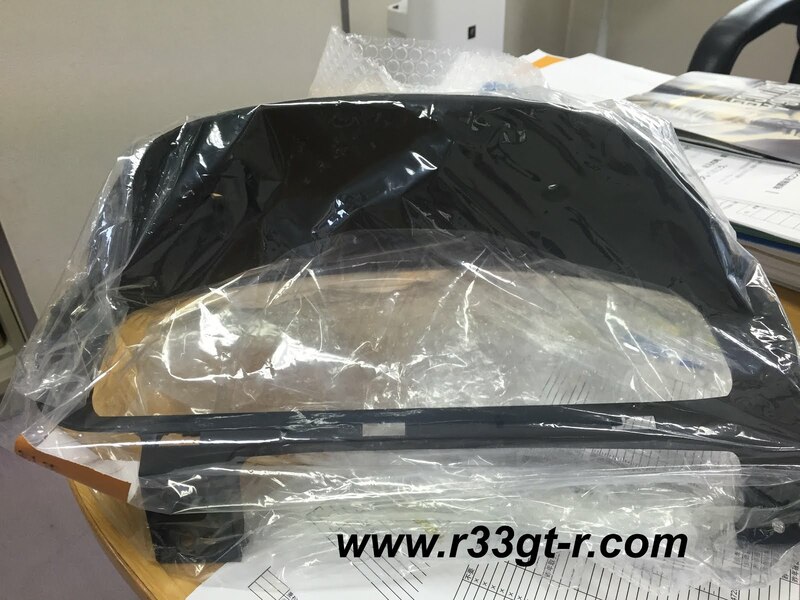 Luckily as the GTR shares this piece with the other 33 models, I was able to find this cheap used one, and the seller agreed to send directly to Mexico. 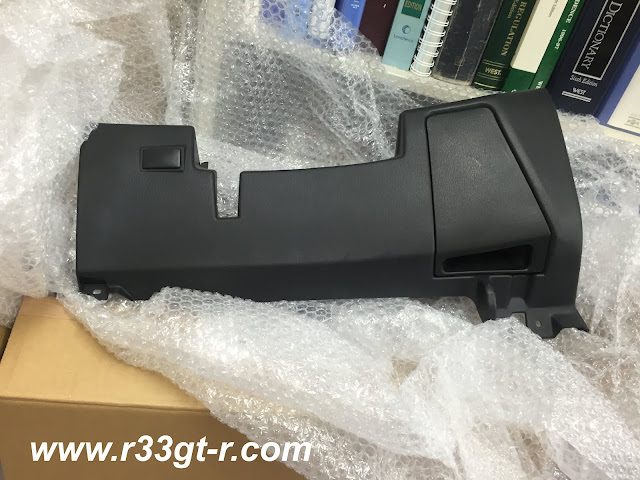 The other pieces we needed and which I sent to him were: Steering column cover, left and right kickplates, the plastic piece above the driver knees, and the speedometer surround. (I mentioned some of these in my previous post). You can see, at 7:00 in the following video, all of these pieces.